The Open Space Authority recently received updates from two projects funded through the Authority's Urban Grant programs. Find out more about these community programs here. While there are many trails in the Santa Clara Valley, none connect the Santa Cruz Mountains to the Diablo Range and tie the Santa Clara Valley into the Bay Area Ridge Trail, a 375-mile network of trails that unites the ridges circling the Bay Area. A team of local agencies and trail advocates is looking to fix this South Bay “trail gap,” a segment that stretches from Santa Teresa County Park to the Coyote Creek Parkway through the Coyote Valley. Connecting these two spaces through this critical southern linkage will expand opportunities for recreation and, according to the Authority’s Coyote Valley Landscape Linkage report, improve access to food, water, and breeding habitat for wildlife. 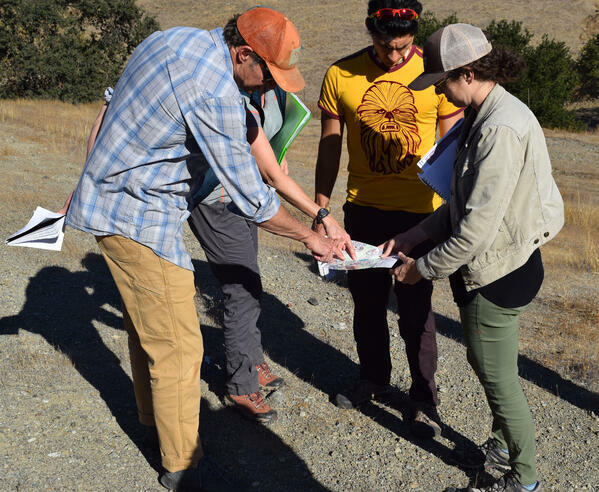 This past November, the Bay Area Ridge Trail Council kicked off their feasibility study and planning process, funded by a $62,000 grant from the Authority’s Measure Q Urban Open Space Grant Program. The study began with a site visit to Coyote Valley, where participants from public agencies and private organizations including the Open Space Authority, City of San Jose, Santa Clara County, Peninsula Open Space Trust, and Pathways for Wildlife gathered with the Council to discuss future possibilities. Stay tuned for future updates as the study continues. On Saturday, November 3, Keep Coyote Creek Beautiful and the Santa Clara Audubon Society hosted their Fall BioBlitz event at Coyote Meadows, sponsored with funds from the Authority’s Measure Q Environmental Education Grant Program, and co-sponsored by the SJSU Center for Community Learning and Leadership and CommUniverCity. This BioBlitz and similar events are part of the larger Coyote Meadows project, which focuses on opening and activating a 50-acre city-owned parcel along Coyote Creek between Story Road and HWY 280 for the purpose of providing a natural, vibrant parkland to community members. 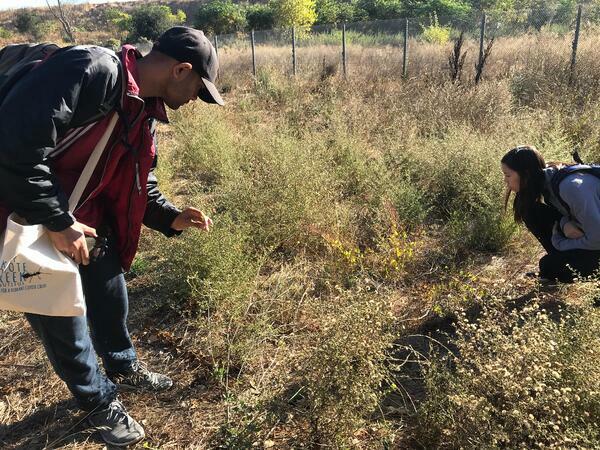 On the sunny November morning, participants worked on finding and documenting species of plants and animals over a two-hour period. Using the iNaturalist app, attendees were able to use their smartphones to record all the living things they could find along Coyote Creek. This BioBlitz resulted in 210 observations, including the identification of 37 species of plants, 27 species of arthropods (e.g. spiders), and 35 species of birds, which is a record for the area. 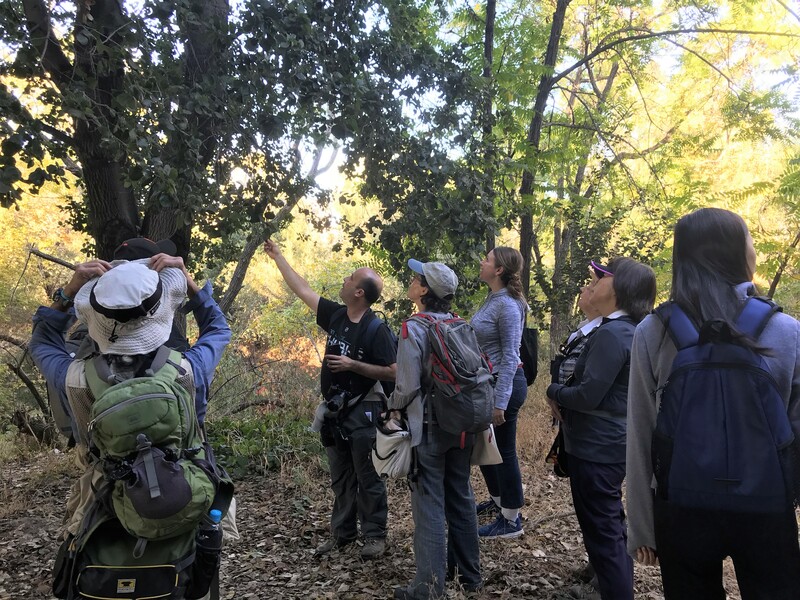 The event gave participants the chance to explore some of the amazing natural diversity of the Santa Clara Valley as well as provide insight into the many species of organisms that depend on green spaces in the San Jose area.